So you’ve been looking for new hobbies, and decided that dancing lessons are the way you want to go? Congratulations! You’ve embarked on a highly fulfilling path, as there are many amazing benefits dance classes can provide. In addition to picking up an exciting new skill, you’ll also be engaging in a fun and social way to exercise: it might be difficult to stay focused doing callisthenics, but dancing will keep you moving and engaged the entire time. As a novice, you might be a bit nervous about what to expect. As veteran providers of Foxtrot, Swing, and Waltz dancing lessons in Brisbane, Dancecorp, wants you to head into your first classes with confidence, so we’ve got a few helpful tips about these beginner dances that might give you the leg up you need when it comes time to hit the dance floor. Each dance style is a bit different, but with careful practice, you’ll be able to master them all. When you’re out on the floor, there are a few things to remember about your technique and the dances themselves that might make your learning experience go more smoothly. Foxtrot Dancing Lessons – A 4/4 dance first developed by Harry Fox in 1913. This dance is generally accompanied by mid-tempo vocal jazz music and features about six or seven steps that need to be learned to complete its execution. This dance is a smooth ballroom dance, characterised by careful contra-body movement and varying degrees of sway from left to right. When taking forward steps, remember that the heel should make contact with the floor first. When taking backwards steps or side steps, lead with the toe first. 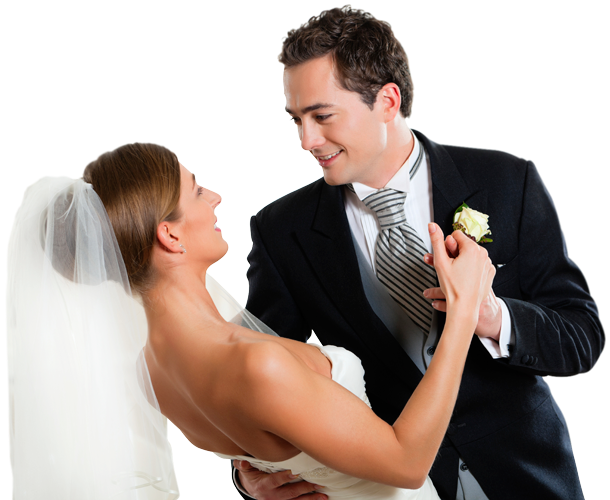 Waltz Dancing Lessons – This classic ballroom dance is the very embodiment of the 3/4-time signature. “One-two-three, One-two-three” you’ll count as you manoeuvre across the floor. We think of the waltz as such a formal dance – it might surprise you that this traditional dance was once denounced for its “vulgarity and immorality”. You’ll do well to pay attention to your rise & fall during this dance, and remember that forwards steps are taken heel first while backwards steps are taken toe first. Side steps are also toe first. Make sure that you remain smooth and steady! Swing Dancing Lessons – A fast pace with an accent on the “two” are the hallmarks of this iconic dance. You’ll need to exercise lots of control to master this dance. Stick to the rudiments at first. Resist the urge to take giant, sweeping steps when you’re starting out. Don’t rush, and if you’re following, concentrate on following correctly. Dancecorp is a professional level studio with professional instructors who are well versed in the concept of “social dancing”. We believe that dance classes are a great way to have fun, meet new friends, and get an excellent workout. We’d love to welcome you to our studio, so please shoot us an email or give us a call on 07 3227 0390 to learn more about our wide range of dancing lessons!